The foot and ankle are common sites for the development of conditions and injuries, most caused by overuse. Because people use their lower extremities often during daily activities such as standing, walking, running, or jumping, it’s not uncommon for damage or injury to occur, especially for athletes who are more prone to suffer from traumatic injuries. Below are the most common conditions and injuries causing foot and ankle pain on both the general public and athletes alike. Morton’s neuroma is a condition identified as a thickening of the nerve tissues found in the ball of the foot, most frequently affecting the nerve that travels between the third and fourth toes. This condition most commonly occurs in athletes. The formation on the nerve may develop as a result of irritation, previous trauma from an injury, or constant pressure on the nerves of the toes, such as wearing improperly fitting footwear or wearing high heels with pointed toes, which compress the nerves and may begin to cause numbness on the toes. There are no visible signs for Morton’s neuroma but symptoms for the condition include pain, a burning sensation, and tingling from the ball of the foot to the toes. Achilles tendonitis is a condition caused by irritation of the Achilles tendon, the largest tendon found in the human body, located in the back of the ankle. Recognized as a common injury among athletes, Achilles tendonitis is caused by the repetitive overuse of the feet. A rapid increase in an athlete’s daily activity routine will often tend to add stress to the feet, the constant overuse increases the chances of developing Achilles tendonitis, especially for athletes who participate in sports such as running. Wearing improper footwear may also be a factor in developing the condition as the feet need additional support and cushioning. The most common symptoms for Achilles tendonitis include pain, swelling, and limited mobility. Posterior tibial tendonitis is a condition that occurs on a single tendon found on the interior side of the ankle, medically defined as the irritation, inflammation, and swelling of the tendon, usually due to trauma from injury but can also be caused by another underlying condition. Damage or injury to the tibial tendon is considered to be the most common source for foot complications. Posterior tibial tendonitis is also a condition caused by overuse of the feet. With excessive use, the tibial tendon will begin to irritate, leading to the familiar symptoms of inflammation and swelling, followed by pain from the inside of the lower leg to the inside of the ankle. The tibial tendon also functions as support for the arch of the foot and if this condition is left untreated, one may develop adult acquired flatfoot. Osteoarthritis is a degenerative condition of the joints capable of affecting any joint in the body, including the ankle. This type of arthritis occurs where the cartilage, normally a tough and flexible tissue that covers the ends of the bones where joints form, begins to progressively wear away. Unlike osteoarthritis that develops in the hip or knee, ankle osteoarthritis is estimated to be about nine times less common. Traumatic injuries to the ankle, such as the various types of ankle fractures, are the most common reason for the development of ankle arthritis. This is known as post-traumatic ankle osteoarthritis, which usually occurs within two years of injury. The common symptoms of arthritis includes pain around the joint, followed by swelling, stiffness, and deformity of the joint. Ankle fractures are common injuries that occur around the ankle joint. There are different types of these fractures, each characterized by their location on the ankle and the severity of the injury. 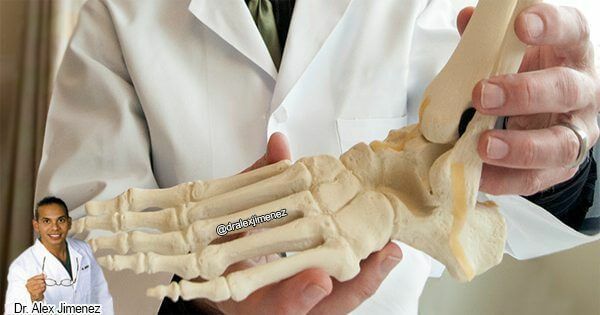 Suffering a fracture can be quite painful due to the bone being dislocated from the joint. Typically, a broken ankle refers to a broken tibia or fibula. The symptoms associated with a bone fracture can help diagnose a possible injury. The first indication of an ankle injury is severe pain. The affected area may be tender to the touch and if the pain is too severe, an individual may be unable to stand or apply weight to the affected foot. Other symptoms indicating an ankle fracture include swelling, bruising, and the ankle may appear deformed from the break on the bone. Why A Pinched Nerve Responds So Well To Chiropractic | El Paso, Tx.